So you’ve got two monitors now, like the omnipotent hacker or cokehead stockbroker archetypes from the movies. Congrats! 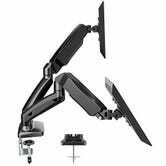 But the effect isn’t truly complete until you mount those monitors to arms that let you move and articulate them in any direction, depending on the situation. 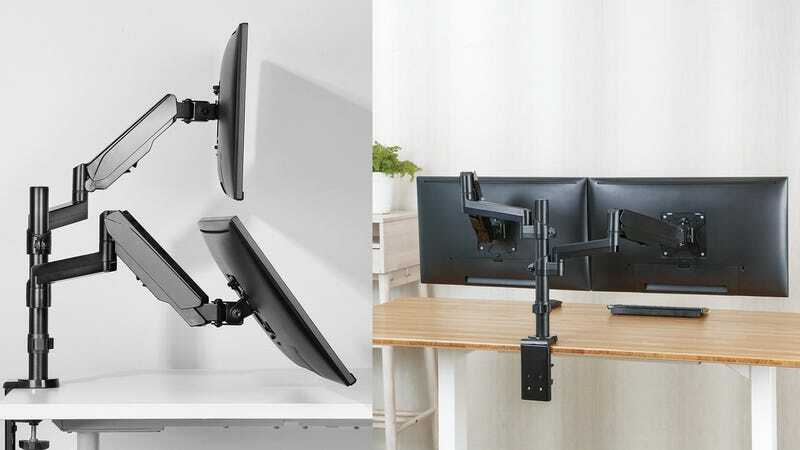 This gas spring mount holds two screens up to 14.3 pounds each, and it’s an absolute steal at $39 with promo code 2WSTMQXD.